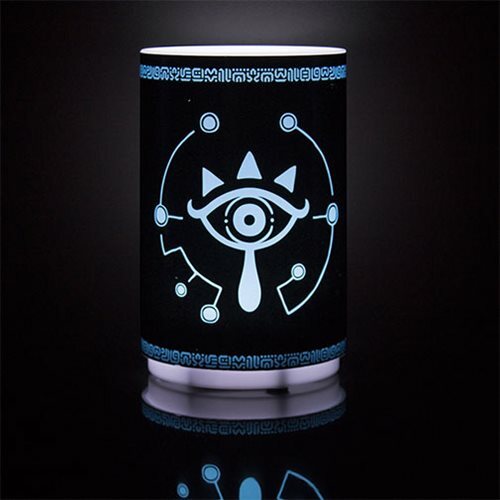 Bring light to the legend with this stylish The Legend of Zelda Sheikah Eye Mini Light inspired by The Legend of Zelda: Breath of the Wild. Measures about 4 1/2-inches tall this cylindrical light has a push down on/off function. 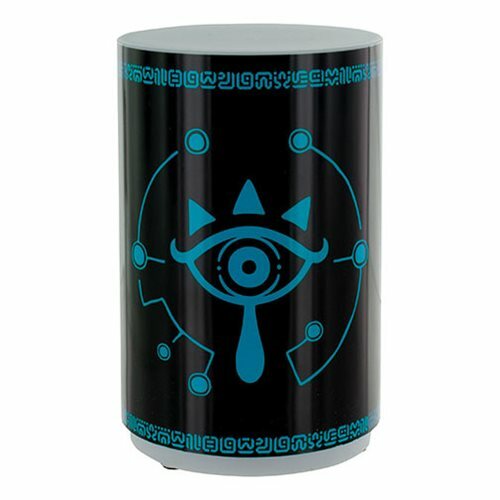 The Legend of Zelda Sheikah Eye Mini Light features the iconic Sheikah Eye symbol and actual Breath of the Wild game sounds. The Legend of Zelda Sheikah Eye Mini Light is great for fans and gamers. It is an ideal gift solution for birthdays, Christmas stocking fillers, or even the office Secret Santa. Requires 3x "AAA" batteries, not included. Ages 6 and up.